When relocating to San Diego you should plan out your move to ensure that you don’t leave anything out. Proper planning before you relocate can save you time and money and take a lot of the unknowns out of the move. We’ve put together 5 tips that will help you better plan your relocation to San Diego, California. These tips are derived from helping many individuals and families relocate to San Diego from all areas of the United States as well as foreign countries. We are licensed California Real Estate Brokers and Agents and we can help you make your move a little smoother by letting our experience be a guide. Hopefully these 5 tips make your move a little easier. If you haven’t already done so decide if you’re going to buy a home in San Diego or rent a home in San Diego. If you’re not sure then you may want to get the advice of a local San Diego Real Estate Expert to assist you in making this decision. You should look at what rental properties rent for and what a monthly mortgage payment would be and then compare the two. You will need to compare apples to apples so make a list of what type of property you will need in San Diego when you get there. Make a list of things you want in the property you will buy or rent. Have a local real estate agent compare for you what the monthly rent would be to rent and what the monthly mortgage would be to buy. Of course purchasing a property is a much bigger decision and commitment but by doing this exercise you will at least know what is best for you and may actually allow you to see the pros and cons of both. It’s just part of good decision making. If you have decided to rent a home or condo in San Diego then you will need to start looking for a rental. From the exercise in Tip 1 you should make a list of what you want in your rental property and where you want to live. Once you have this you can ask a real estate agent to help you find a rental or you can do the research yourself. Be wary of looking for rentals on-line, there are lots of scammers out there. See if the rentals that meet your needs in the area you want to live in are within your monthly budget. If not you may need to adjust the criteria of the property or look in other neighborhoods. San Diego can be an expensive place to rent a home or condo. 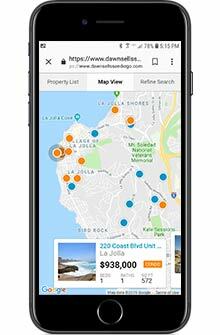 If buying a home is what you have decided to do when relocating to San Diego then use the info in Tip 1 to put together what type of property you would like to purchase. 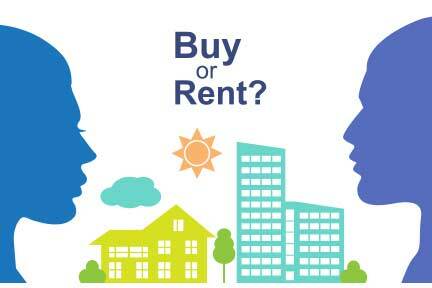 When buying a home your decision making is different than renting. It’s the difference between buying and renting a car. A car you rent you don’t own and you’ll be returning it when you’re finished with your trip. When you buy a car you know that you will have it for a long time and then eventually sell it or trade it in for a new one so you are more diligent and excited about the process. You’re more serious about getting exactly what you want within the limits of the budget you have. Buying a home is the same way. Your real estate agent is your ally; he/she will guide you through the process and help you make good decisions when buying. Your real estate agent will bring things up to you about the home buying process that you never thought of. This is because an agent does this for a living and knows the process completely in the realm of buying real estate. The internet is a good place to find homes on the market and gather some information about buying a home but it is by no means enough to get you through the entire home buying process. It’s like trying to diagnose your ailments on WebMD. Although WebMD is an excellent website to help you find answers to body pains, rashes, bug bites, colds and so on it’s not a replacement for seeing a professional doctor or nurse practitioner do find out what’s really going on. It’s the same thing in real estate. Look around on the web but hire a pro to help you navigate the complex world of real estate, loans, escrow, inspection, negotiation, rent back, and many more things that happen when purchasing a home. There’s just too much on the line. At The Lewis Team our team leader, Dawn Lewis, has been a licensed agent in San Diego since 1989, that’s over 30 years. This is the kind of experience you want leading a team of real estate professionals and the kind of team you want working for you. One more thing about the internet, there are lots of websites out there that people use to find out the values of homes. Some of them are Zillow, Trulia, and many Realtor websites including ours. These value estimators are just that, estimators, so when you look up a home that you’re buying and the online home valuator tells you it’s worth $500,000 in reality it may be worth far less or far more. Don’t trust these online home value web tools, they are notorious for being inaccurate. If you’re using them to come up with a price when writing an offer on a property you may be over paying by tens of thousands of dollars. Have your experienced real estate agent run comps for you to let you know what the real value is before writing an offer. If you’re not from San Diego or have never lived in San Diego then you will need some help in understanding the different areas of the county. Basically there are 6 areas in our county. These areas are; North County Coastal, North County Inland, Coastal, Central, East County and South Bay. After you choose which area you may want to live in there are communities and neighborhoods within these areas that you will then have to decide on. All potential buyers need to think about commute time to work, what is the walkability of the property, is it close to shopping, dining, schools, parks, freeways and so on. Even though we have helped people buy homes without ever seeing them in person the vast amount of homebuyers really need to see not only the property they’re considering buying but also the neighborhood and commute times to work during peak traffic hours. You also want to take into account things like, HOA fees. If there is an HOA, which means Home Owners Association, there will most likely be an added monthly expense. HOA’s will usually have some amenities like common area maintenance, pools, spas, recreation area and so on that are exclusive to the community. HOA fees vary but may cut into your purchasing power so it needs to be factored into what you end up buying. There is also Mello-Roos in San Diego which is an additional tax or bond that can last anywhere from 20 to 50 years and needs to be paid by the homeowner in their taxes. This is above and beyond the normal property taxes. This also needs to be factored in when choosing a property to purchase. See what I mean, having an expert to help you with your San Diego home purchase is looking like a good idea isn’t it. It’s just the tip of the iceberg to what goes on in the process of buying a home. Oh yeah don’t forget about the supplemental tax, you’ll have to pay that as well. San Diego starts at the coast and goes all the way east to back country living. There are so many different types of homes and areas in San Diego that you will have a hard time picking from all of the great choices. We have helped lots of Active Duty Military relocate to San Diego and depending on where they’re being stationed depends on where in the county they will end up living. Where you end up working will probably also be in your decision making process. If you’re not working then it maybe more of a question of where you want to spend most of your free time or where you want to volunteer. Sometimes parents relocate to San Diego to be by their children or grandchildren. The reasons are many. Once the decision is made on location and what your needs are in a home then a real estate agent can start concentrating on finding you a home in the location you desire. Unlike waiting for homes to pop up on popular websites like Zillow or Realtor.com a good agent will try and find you a property before it shows up on the mass media websites. Any advantage your agent can give you over other buyers so that you find the home first and your offer gets accepted is worth its weight in gold. At The Lewis Team we have access to groups and email updates that let us know about properties before they even go on the market so that you find out about them first. Many times a home will show up in Zillow and Realtor.com and it’s already sold. That’s because agents that new about it before it went on the market got their clients offer accepted before other buyers even new about it. You’ve already done that. You’re on a top team website that is the best relocation real estate team in San Diego. Our experience in helping people and families relocate to San Diego is impossible to beat. Our team leader, Dawn Lewis, has been selling homes in San Diego since 1989, that’s over 30 years. The combined team experience is well over 50 years and if we added up all of the homes sold by all of The Lewis Team Members it would be in the thousands. We would love the opportunity to earn your business. Please contact us or call us at 619-656-0655 to speak with one of our agents. Keep in mind when using a real estate agent they are not just there to help you find a home, there is so much more that goes into the process of home buying. Think about a trip you’re taking on an airplane. Picture the pilot in the cockpit. She/He is in charge of flying and has an assistant pilot to help with the flight as well. There are a lot of controls in the cockpit and lots of things going on behind the scenes that you will never know about but rest assure you get to your destination. Sometimes the weather conditions are bad and other times there may be a change of flight pattern but all you know is that you got to where you needed to go safely and on time. That’s what good experienced pilots do. In a real estate transaction there is a lot going on behind the scenes, offers, counter offers, negotiations, escrow, inspections, loans, disclosures, title, request for repairs and sooooo much more. Throughout this process an agent will guide you through the process and make sure you are informed and educated on what’s going on and what is coming up in the process. We will explain the process to you and answer any questions that you have during the sale. 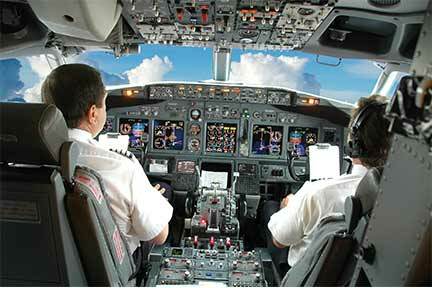 Let us handle the flight and get you there safely and on time. We also have excellent lenders and mortgage companies that we can recommend to you that are some of the best in the business. Getting a solid pre-approval and pre-approval letter is essential when getting your offer accepted. Getting the best interest rate and loan whether it’s VA, FHA or Conventional is what we’re after. 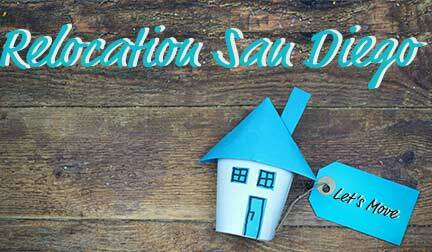 We’re here and we would love to help you in your relocation to San Diego County. If you would like to ask any questions about the process please let us know. Relocating to San Diego County? Contact or Call The Lewis Team Today!